Located off the bustling Venice block of Abbot Kinney, the Venice Hotel is created on an urban courtyard hidden from the road. The primary facades are experienced from the interior of the block, where the hotel, bar, and restaurant open onto a communal courtyard. 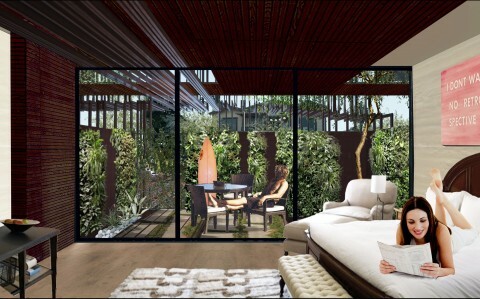 The hotel rooms are veiled by a dynamic wall of wood slats, wrapped in foliage, with varying openings to allow changes in privacy, views, and light in the breezeways. 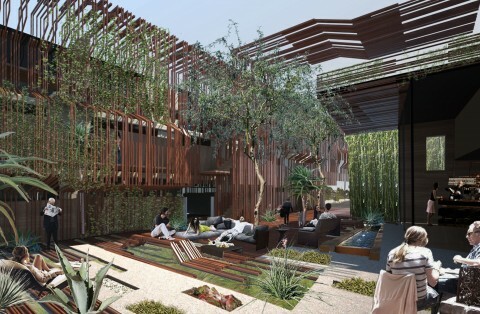 The wall bulges to create gathering places along the pathways, and folds into the courtyard to create seating for the community and hotel guests alike. 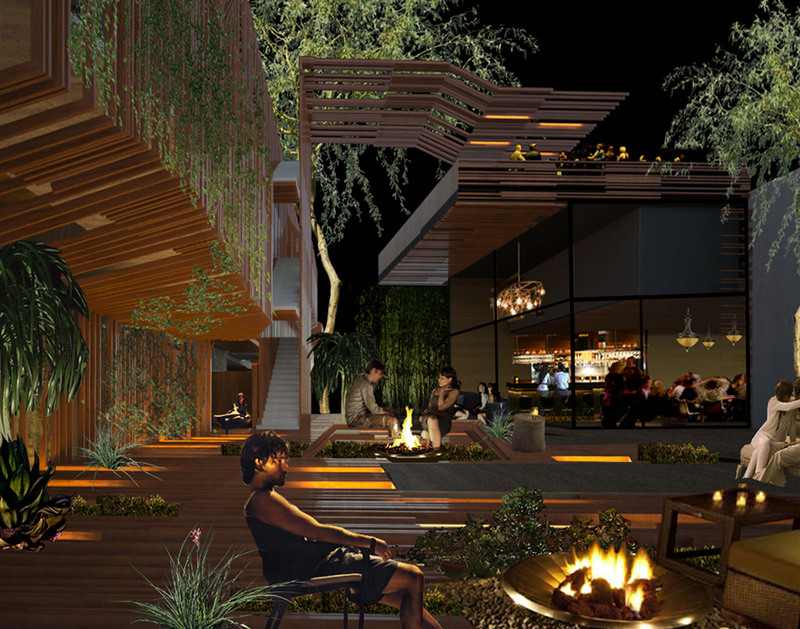 The relationship of the urban hotel to courtyard is like that of a European piazza, where the hotel and public space influence and engage with one another.